Earlier this morning, I was consulting with a client. He was having a terrible time making a solid decision about which product/vendor to pick for this very important service to his business. I realized after a while, that his problem wasn’t that he was having trouble choosing a service, but rather, he was overthinking the entire process. Through my process, I helped him discover what he really needed, and the decision was quickly made after that. 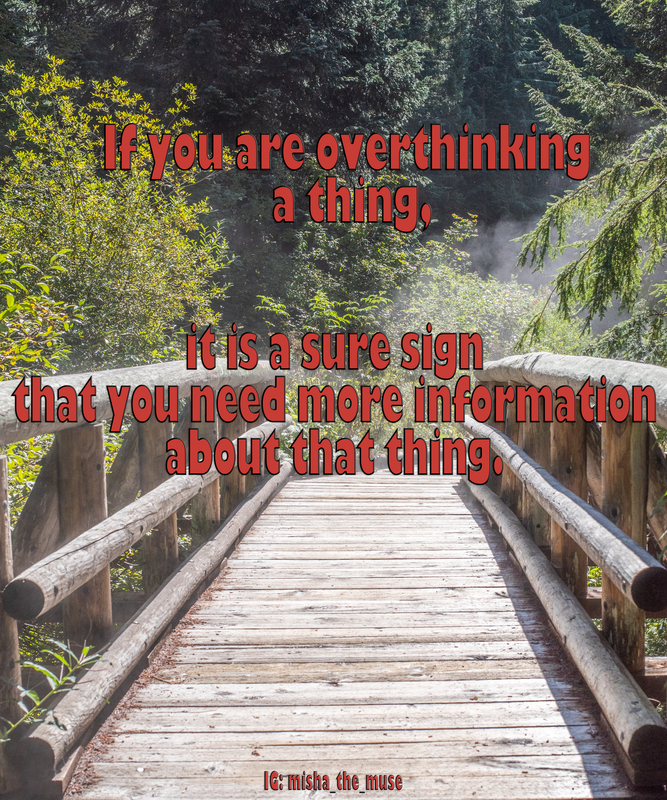 Overthinking can feel like taking caution, but be cautioned! Overthinking can produce inaction! Change your vibrations, change your universe.